Today, I’m taking a look at a bizarre alternate history film about identical twins who are, in turn, identical to Elvis Presley: 2014’s The Identical. The screenplay for The Identical was written by Howard Klausner, whose other writing credits include Hoovey, Space Cowboys, Grace Card, and The Last Ride. The Identical was directed by a man named Dustin Marcellino, who has no other directorial credits listed on IMDb. His only documented experience is shooting and editing a short film in 2011, called The Last Train. The cast of the film includes the likes of Seth Green (Austin Powers, Idle Hands, The Italian Job, Rat Race), Ray Liotta (Goodfellas, Smokin Aces, Revolver, The Iceman), Ashley Judd (Heat, Bug, Frida), Joe Pantoliano (Memento, The Matrix, Daredevil, Pluto Nash), and Erin Cottrell (Love’s Abiding Joy). 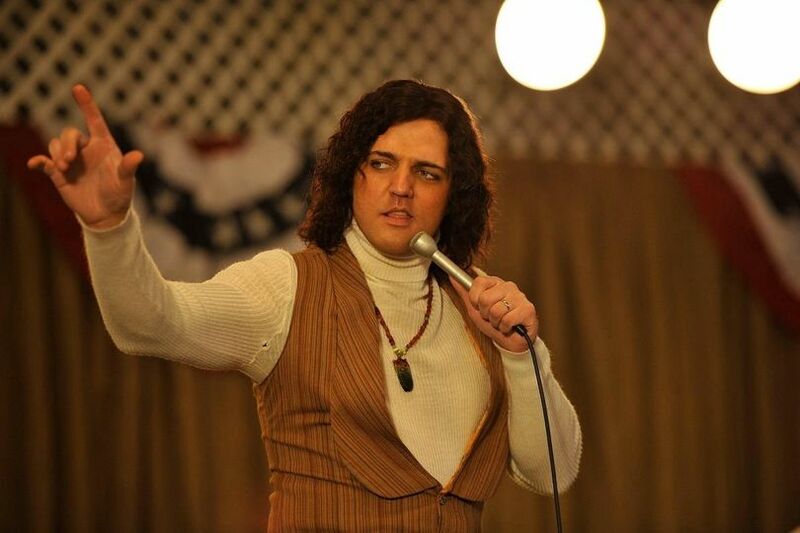 The lead of The Identical, Blake Rayne, is a well known Elvis Presley impersonator. He was cast in the dual lead role after one of his performances was seen by the film’s casting director, despite his lack of acting experience. The cinematographer on The Identical was Karl Walter Lindenlaub, whose shooting credits include Independence Day, Stargate, Nine Lives, Universal Soldier, and Moon 44. The editor for the film was Rick Shaine, who also cut Pitch Black, The Incredible Hulk, Theodore Rex, Loverboy, and the horror classic A Nightmare On Elm Street. Four people are credited with composing music for The Identical, including Klaus Badelt (Ultraviolet, Equilibrium, Catwoman, Constantine, 16 Blocks, Rescue Dawn, Poseidon), Christopher Carmichael (The Howling: Reborn), and producers Yochanan and Jerry Marcellino, the latter of whom composed Michael Jackson’s hit single “Music & Me”. 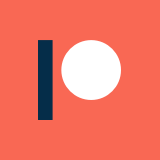 After the film’s critical and financial failure, the production’s twitter account launched a campaign for fans to flood Rotten Tomatoes with positive reviews, claiming that the popular review aggregator has an anti-Christian bias. Even with that directed campaign, however, the audience score on Rotten Tomatoes for The Identical sits at an unenviable 62%. The Identical only played in theaters for three weeks before getting pulled for low grosses. In that time, it took in only $2.8 million of its $16 million budget, making it a significant loss for a small production. The reception to the film was arguably even more disastrous: Linda Cook, film critic for the Quad City Times, summarized it as “Showgirls bad: a vision that slowly goes wrong, then terribly wrong, then hits disaster levels.” Likewise, Randy Cordova of The Arizona Republic wrote that “Elvis Presley made some bad movies, but…He never made anything as outright awful as The Identical.” Currently, The Identical holds an IMDb user rating of 5.1/10, along with a Rotten Tomatoes critics’ score of a measly 6%. As far as positives go, I have to say that some of the music featured in the film is kind of catchy, even if the lyrics aren’t exactly deep. That said, this was definitely a music movie first, and everything else second. Unfortunately, that definitely shows once you delve beyond the soundtrack. It would be easy to poke at first time actor Blake Rayne as a key issue with this movie. After all, he had no acting experience previously, so he’s an easy target. However, I thought he was actually pretty decent here. Given that his character is basically Elvis, it shouldn’t be too shocking that a professional Elvis impersonator could pull the role off well. Likewise, most of the cast is pretty decent: Liotta in particular deserves props for a performance that far exceeds the needs for this film. The area where The Identical really suffers is in the screenplay writing. Not only is there a ton of unnecessary narration that drifts in and out of the film, but the very structure of story is bizarre: notably, it flashes back and forward numerous times, making it unclear when certain events are happening, and glosses over years at a time. On top of that, there are some serious historical issues with the screenplay. For instance, it dodges the Civil Rights Movement and racism in any way that it can. Even more glaringly, the film doesn’t address that Elvis is an established figure within the film’s acknowledged historical canon. Basically, in the film’s version of history, both Elvis and an identical Elvis look-alike are celebrities at the same time, doing the same kind of music. On top of that, the Elvis look-alike’s identical twin winds up with an enviable music career, which is inexplicably never compared to Elvis’s. Despite establishing Elvis’s existence as a popular figure, at no point does anyone in the film note similarities between Elvis and his fictional identical(s), which is beyond mind-boggling. I assume this is the result of the screenplay originally having Elvis as a character (instead of Drexel), and being changed at some point to avoid issues. However, to leave in references to Elvis is a glaring flaw in the story’s world and internal logic, that both the screenwriter and director should have caught and omitted. It may be a minor gripe, but one of the most egregious issues with The Identical is the costuming. There are countless bad wigs scattered throughout the film, in an attempt to convey ages of characters and time periods, but they all ultimately distract the eye because of how unconvincing they are. Costuming, ideally, should blend into the background, and only catch the audience’s eye if it is meant to establish something about a character or the setting. In this movie, wigs and outlandish outfits constantly stand out without cause or need, which takes away from the audience’s immersion and investment in the story. Similar to the costuming, another pair of unusual issues with The Identical are the casting and makeup. Given the story spans over multiple decades, there were going to be some inevitable difficulties with portraying characters over time. Some productions elect to re-cast characters in order to convey different points in time, like Barry Jenkins’s Moonlight. This can create a slight disconnect, but audiences are usually a bit forgiving if the actors look plausibly related. The other popular way to show that characters have aged is the use of makeup, such as in Citizen Kane, which allows the same actor to portray an older version of their character. While some movies have been innovative in terms of prosthetic use or digital enhancements to achieve similar aging and de-aging effects, these two methods remain the most effective and cheapest ways to deal with having the same characters portrayed across long spans of time in a story. In the case of The Identical, however, the production chose to do nothing at all. Seth Green and Blake Rayne, outside of changing goofy wigs occasionally, look the same when their characters are in high school and when they are grown adults. Particularly in the early sections of the film, this decision makes their scenes straight comical. In one sequence, the two clearly adult men are in a bar, and are supposed to be playing minors. Then, the “teens” are scolded by their also-adult parents. “Surreal” might not be the right descriptor, but it is pretty close. 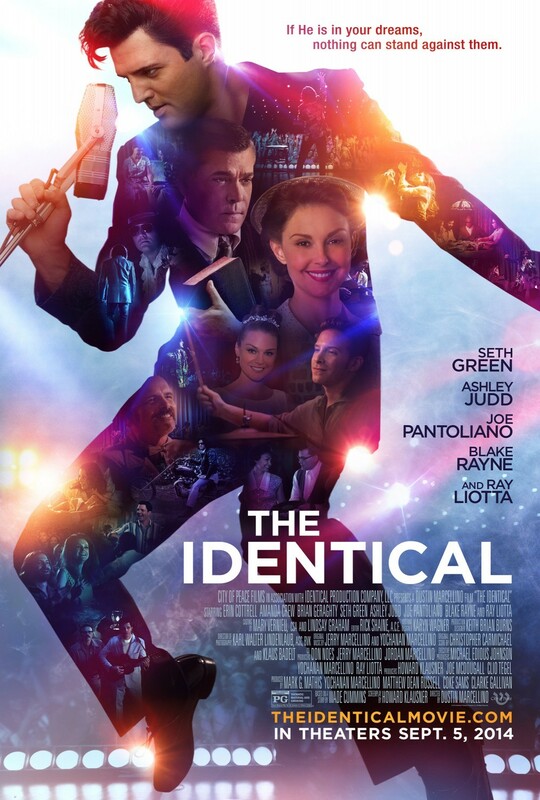 If I didn’t know from the marketing that The Identical was a Christian movie, I’m not sure if I would have figured it out otherwise, and that is pretty noteworthy to itself these days. While religion does play somewhat prominently in the story, it is hardly the focal point. That is not even to mention that the version of Christianity lauded is not nearly as conservative as one might expect, particularly when comparing the film to its contemporary Christian features like God’s Not Dead or The War Room. Theoretically, this is what a Christian movie should be: a story that involves Christianity, insofar as it impacts the characters. The crux of the story isn’t that Christianity is rad: there is a (mostly) coherent narrative with tangible characters, who are often guided by their religion. It may seem like a minor distinction, but when a movie’s transparent purpose is to preach and convert, it automatically gets the tone of hokey propaganda, and it undercuts any character motivations or story investment that the audience might develop. I don’t think there’s much to recommend with The Identical, but I did find it to be a bit thought-provoking. If you are curious, Ray Liotta and the music may justify your time, but there isn’t much entertainment to be had beyond that. I do think that, with some work on the screenplay and a little more attention to detail on screen, there might have been the makings of an interesting alternate history film here. Hell, if Bubba Ho-Tep can work, I’m not writing off any outlandish Elvis movie ideas.